Mardin in the south-east of Turkey is on the edge of an ancient region called Mesopotamia. When I booked into my hotel, the receptionist said they were not busy and had given me the room with the best view of the Mesopotamian plains. I don’t care much for hotel room views, preferring to spend most of my time outdoors and only using the hotel as somewhere to sleep. So I shrugged my shoulders in a “whatever” manner. I was so wrong. I opened my window and the amazing landscape view just wowed me. It stretched far into the distance and included miles of empty land that has not suffered the pitfall of urban development. Mesopotamia refers to an area of land that is spread out over some parts of Syria, Iraq, Iran and Turkey. Many scholars have referred to it as the cradle of civilization and extensive studies have taken place and are still continuing regarding life in the area over thousands of years. (Read more about Mesopotamia). It is obvious that this region has a lot of historical value but as far as I am concerned, you don’t need to be a history buff to appreciate a view like this. Putting Mardin on my wish list for the next time I’m in Turkey. Gorgeous! Your friend sounds like me. I was not too happy either! We stayed in the same hotel years ago. That view was tmouenders wasn’t it? Except my British friend discovered that the hotel didn’t have the right permit to serve alcohol and she nearly had a stroke. Mardin was one of the only places out east that I would consider going back to visit. Kutay! Please go as soon as possible! Amazing photo! I regret that I didn’t get a chance to see Mardin when I lived in Turkey. Some of the most beautiful places are hidden. The place looks beautiful.! Wow Claudia – didn’t realise you had been here for 30 years. You must have seen some massive changes during that time. Glad you like the photo. Whenever I look at it, I can’t help but think about history and which armies walked across those plains. Hi Natalie! That photo has captured all our hearts. I have actually visited Mardin twice and each time have been totally captivated. And don’t forget I have been living in this country for about 30 years! There are so many unique parts to Turkey and this is certainly one of them. It made my skin just tingle to look over the vast plain of Mesopotamia and your pic has reminded me of it. All of you who haven’t been, this is a must-see kind of place. Such a beautiful plains. It is good to see the whole from the top view. You will enjoy Mardin, just remember to book your hotel in the old city and not the new. You are right as well, when you leave Turkey, you will be eager to come back. Loads of great hikes in Cappadocia, just think Goreme is good as a hotel base and for the wide choice of transport links, that’s all. Since you are an avid hiker, my walks probably pale in comparison. There are loads of routes though, depending on what you want to see. The best person to ask, is Duke, who lives in Cappadocia and this is his website http://www.captivatingcappadocia.com/ He will definitely know because he is out and about all the time exploring the area. By the way, I am an avid hiker and will be staying for two days in the Cappadocia region. Any really good hike you would recommend? It seems Goreme wasn’t as nice as it sounds according to your post. Thanks for the input. That was my general take on it but I figured it would be good to get an opinion from someone who has been there. Sadly I’ll only be in Turkey for about two weeks (wish it was longer but I have to spend some time with my brother in London and some time back home in NY). From what I have been reading I think it is going to be a country I will want to revisit as there will be a lot that I’m missing. 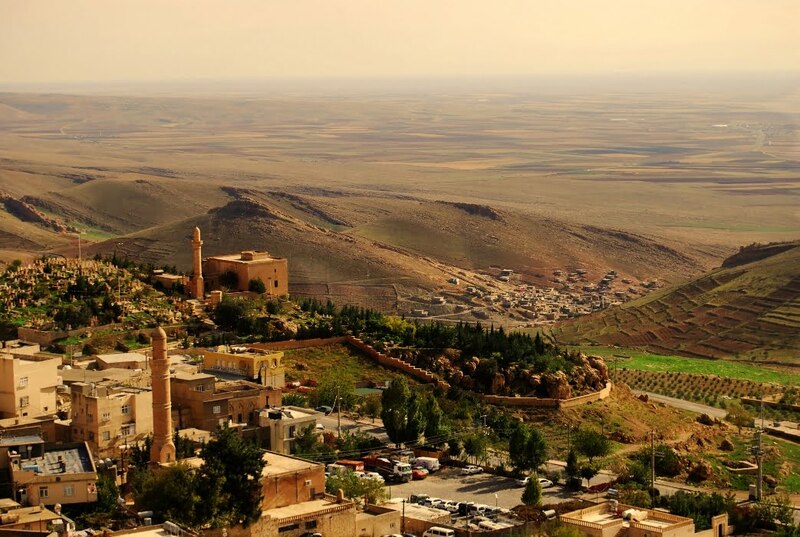 I’m flying into Mardinin in the early morning from Istanbul and then flying out of Mardin the next morning. I don’t have enough time to really explore Eastern Turkey but I felt like I had to check out Mardin. It looks like too great of an experience to miss. It is probably the threat of the PKK or Syria that you are worrying about. That was my concern when I first went but nothing happened. It is not 100% safe but then again no where in the world is. True? If a bomb or equivalent was to land there from Syria, it would spark a major, major incident. Very little chance of it happening imo. The PKK are more dominant in that area but if I met any of them, I never knew it and I am still here writing so I was never kidnapped or anything. When you say going for the day, are staying somewhere else as a base? Your Twitter profile suggests you are open minded, you are passionate and experienced about travel and you can take care of yourself, so I say go. All Turkish tour companies are still running tours to that area, so if it makes you feel easier, use a tour guide. It is an amazing region and Mardin old city is on the tentative list for UNESCO. It would be a shame to miss it. Just let me know if you have any other questions. I am looking to travel to Mardin for the day sometime in February. People I have told have been very concerned about this and are now making me second guess my decision. Safety wise how did it feel being in the area? I have read that the people are extremely friendly but I am not certain if I am over worrying about the threat of the PKK or anything from Syria. I would appreciate any input you have. Hi, Natalie, just found your blog and I am impressed of your travelling goals and achievements!! This particular view is just splendid. Many happy and inspiring trips in 2014!! That photo really took my breath away – what a view to wake up to from your hotel! I have been to Istanbul some years ago but now feel fired up to visit more of Turkey, thanks so much for the inspiration! The warmth, the hospitality and some similarity with my own country….. I am missing Turkey so much!! Want to fly there ASAP. When I go there next, will surely get in touch with you. Subscribing to your blog now. Have been following you on FB since long. Beautiful! Pictures like this remind me of why I love Turkey so much. That view is absolutely astounding! I’ve heard amazing things about Turkey and can’t wait to get there. It’s amazing to me that you can still visit places that are written about in history books thousands and thousands of years ago. I like to imagine what life was like in, say, 4500 BCE. Thanks for a great article and inspiring photo! That was so magnificent! I have a Turkish friend online and told me that his country have a lots of marvelous places to wonder every tourist. He invited me to come over and I will never regret it. Now I think that he’s right. Turkey is another country worth exploring. Currently around Marmaris area and had the option to head back towards Istanbul or head East and fly back through Batman. I think this post (and others about Urfa, Gaziantep) have convinced me to take the latter, much more adventure, route! I love this blog and this country!! Wow – so excited to come across a travel blog about my own country written by a non-Turkish person. Thank you for this. Great writing. ” … It stretched far into the distance and included miles of empty land that has not suffered the pitfall of urban development.” Hopefully it stays so. An excellent view nevertheless. Great photos! Turkey is such a beautiful country. That is truly glorious and what a setting for a hotel. Gorgeous view! A view like that would make for a very peaceful hotel stay. Gorgeous pic! I’m thinking I need to head down to Mardin, if only for a view like this. So much of Turkey I still want to see! Nice one. The word Mesopotamia reminds me of my history teacher and is a place I would love to visit. This is really nice Natalie… I mean the view of miles of empty land itself is so soothing, as we don’t get to witness such bliss much, these days! That is beautiful! I would love to walk out for a couple of hours, pitch a tent and spend the night. The view must be amazing. . . that is such a gorgeous photo – the mellow, mistyness is so beautiful. When J and I were there we were staying a little way along the same street to the left – never managed a pic like that though! That is so beautiful. I hope to get there in September. The Australian Government has issued a warning for areas in Turkey that border on Syria, Iran and Iraq. Is this perceived to be so locally? Simply stunning! I know what you mean about hotels being just somewhere to sleep but sometimes it is nice to stay somewhere special and I could have sat there for hours just looking at that view. Well Mardin look a great place to be, look like a desertic place though but, the silence there is priceless compare to the noisy Istanbul. It looks terrific! The only thing Mesopotamia-related I saw was the Code of Hammurabi – at the Louvre Museum, but I would definitely fancy visiting these places one day. Definitely gorgeous! What an incredible view! congratulations for your lovely blog! May I ask the name of the hotel? I will be going in august , and already have a reservation, but I love this view! Fantastic. I rarely use the overused word ‘awesome’ but it really fits the bill here. You lucky thing! Had they included photos like this in my elementary school history classes I would have paid a lot more attention.